Kangaroo Point North Campaign – archive | Australian Climbing Association (Qld) Inc. The section of cliff to the north of the ‘Death Stairs’ was closed to climbing in the year 2000. 11thNov14 – For emails and other forms of correspondence, memos and briefing notes, notes relating to telephone conversations, various audit/maintenance/geotechnical reports, photos relevant to climbing at Kangaroo Point Cliffs, re-opening of the Cliffs for climbing, within the timeframe Jan09 to Nov14. Correspondence: The archive below contains major items of correspondence between us and Council on the subject of its re-opening. 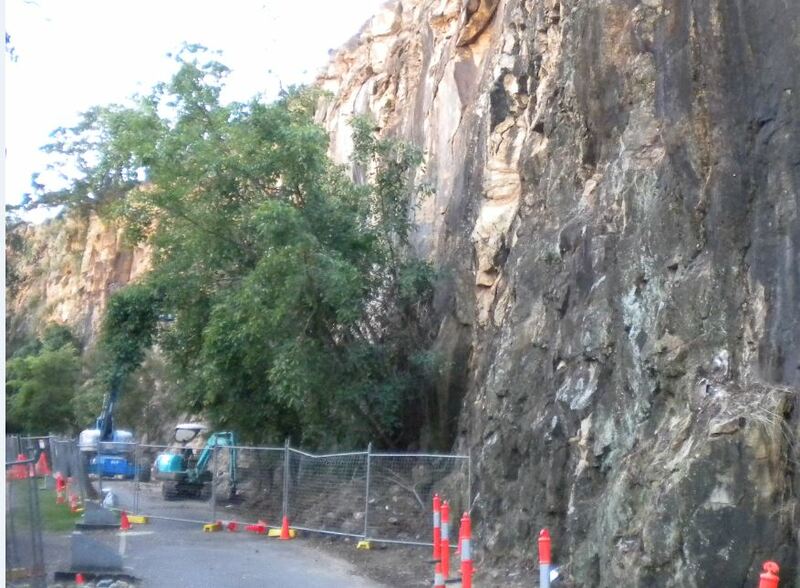 1 KP North Risk Analysis – April 2014 This analysis focusses on the risk associated with the climbing infrastructure proposed for the Kangaroo Point North climbing development in Brisbane. It is unique in that it treats the roped climbing system as a safety function subject to a probability of failure on demand. This formalism allows a relationship to be drawn between bolt specification, and the rate of materialisation of severe injury from bolt failure. 4 KP North Geo-technical Report 2010 This is the geo-tech report produced by Council in 2010 which details the stabilisation works necessary to make KPN safe for recreational climbing. The work was completed toward the end of the same year. 5 Email to PMNEWSB 17Oct14 Following some discussion over the phone with the Senior Program Officer Parks Management Natural Environment, Water & Sustainability Branch, I followed up with this email requesting formal conformation of what it was Council saw as a barrier to opening climbing at KPN. 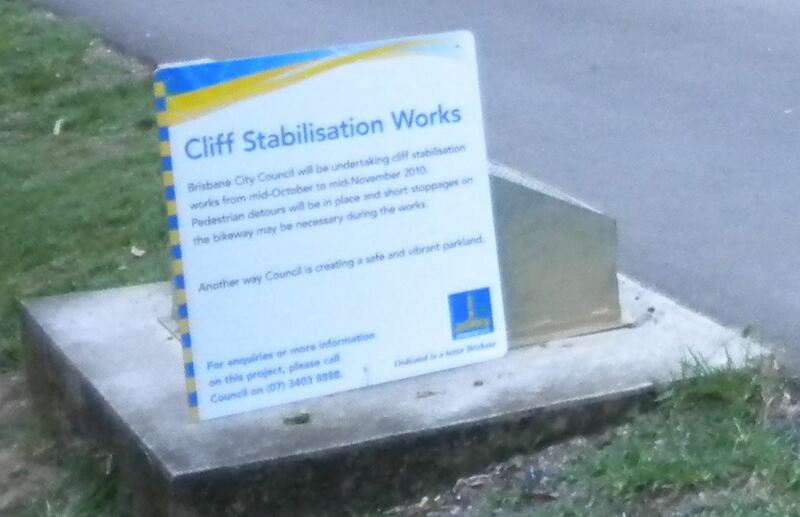 6 Email to Cr Bourke 7Nov14 On the 6thNov14, Council gave permission for the Broncos to suspend a promotional sign over a large section of the main cliffs without consulting the climbing community. There was an immediate storm of protest which we directed back to Council via their Facebook page. On the 7thNov14 we wrote to Cr Bourke pointing out that this incident was part and parcel of the same disrespect for the climbing community that was holding up the re-opening of KPN. 7 Cr Abrahams response to email to Cr Bourke 7Nov14 Cr Abrahams, whose ward includes the KP Parklands, replied in support of our email to Cr Bourke, #6 above. 8 Response to #5 Reply from Manager of Parks Management Natural Environment, Water & Sustainability Branch to #5 above. Apparently this is what you do if you are ‘not carrying out recommended works’ – seems like a lot of effort for no gain.